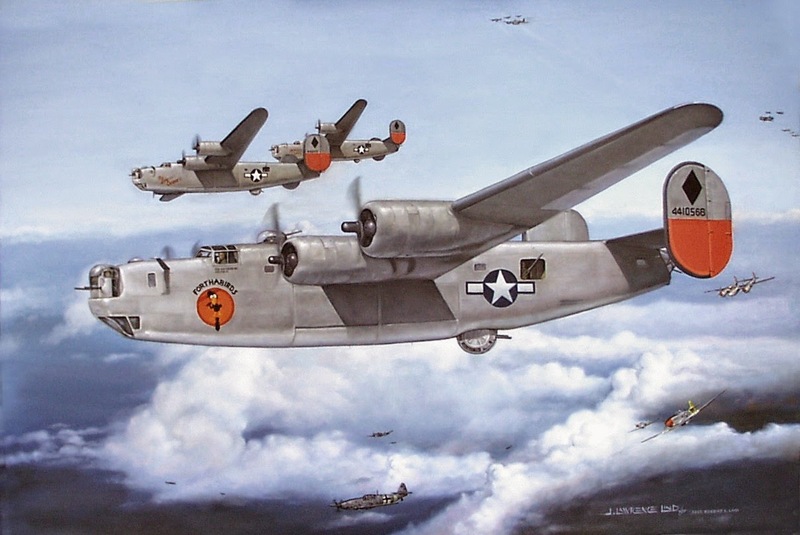 For many years (at least since 2004), the US Government has known, and has stated publicly, that the mortal remains of over 400 US airmen still lie unrecoverable at their World War II crash sites in northeast India, primarily in Arunachal Pradesh. These aircraft crashed while flying back and forth between Assam and South China, in support of the Chinese war effort against Japan. In the years immediately after the war, the US military made efforts to locate these crash sites, so as to recover and repatriate these airmen's mortal remains to the US for proper burial, but failed. 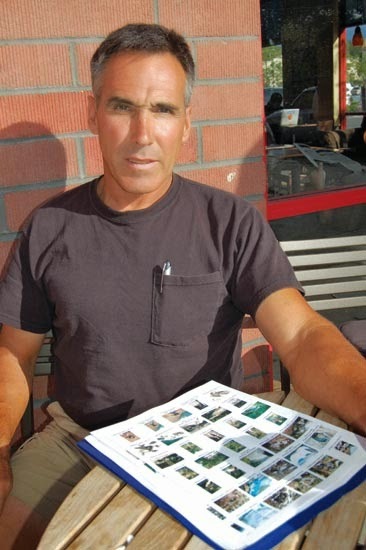 Starting early in the 21st century, however, an independent American investigator, Mr. Clayton Kuhles, became the first (and so far only) person to locate and document many of these crash sites, trekking to them personally and submitting their G.P.S (Global Positioning System) coordinates to the US Defense Department. 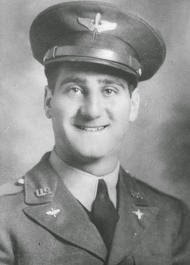 In fact, in Arunachal Pradesh alone, he located 15 different crash sites, accounting for 84 US airmen (including my uncle, 1st Lt. Irwin Zaetz), in remote Himalayan locations, previously known only to mountain tribal native to that area. 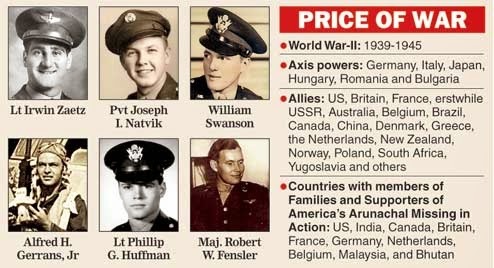 The families of these airmen eventually became aware of Mr. Kuhles' discoveries and pressed the US Defense Department, which has a specialized agency for recovering US war dead around the world, to investigate these crash sites. For many months, that agency (known as JPAC) showed no interest at all in investigating Mr. Kuhles' reports. But after considerable family lobbying and media attention, JPAC finally started negotiating with the Indian Ministry of Defence and reached an agreement with the Government of India (GoI) in early 2008 to permit recoveries to proceed. The GoI permitted one crash site - the site of my uncle's B-24 crash in the Upper Siang district - to be investigated, but after only a few weeks of investigation, abruptly stopped the operation. Since then the GoI has not permitted any of the 15 crash sites discovered by Clayton Kuhles in Arunachal to be investigated for human remains: this amounts to a virtual moratorium and a repudiation of Indian Government obligations under the Geneva Conventions, its pledged bilateral commitments to the US, and India's own heritage of respect for the dead (especially respect for war dead). The GoI continues to cite all types of flimsy excuses for not letting the operations go ahead. Originally, back in early 2009, it told the families that medical evacuation procedures needed to be formulated first. Well, it's 2015, and it certainly doesn't take 6 years to formulate medical evacuation procedures. What could possibly be the real reason for this very hurtful moratorium, which has inflicted major damage on the humanitarian relationship between the US and India by convincing the families of these airmen and their supporters around the world that the Government of India cannot be trusted to live up to its promises ? The reason is the Indian Government's fear of antagonizing China, which claims that Arunachal Pradesh is Chinese territory. Knowing of the Chinese Government's past public denunciations of remains recovery operations as part of a US-India plan to contain China, the Government of India apparently fears antagonizing China over an issue that the Government of India attaches very little importance to, and to which the US Government regrettably attaches very little importance as well. The Government of India will not admit this is real reason, but many scholars, including the late B. Raman, have written that this is the real reason. Despite the Indian Government's loud verbal denials of China's claim, the Indian Government's refusal to permit US remains recovery teams to investigate crash sites in Arunachal Pradesh undermines those denials by amounting to tacit recognition by the Indian Government of the validity of China's claim: actions, after all, speak louder than words. Our organization, Families and Supporters of America's Arunachal Missing in Action, which includes among its supporters 64 retired senior Indian military officers, was founded to put pressure on the Indian Government to finally honor its commitment, originally made in 2008 at that year's meeting of the joint US-Indian Defense Policy Group and reaffirmed during Defense Secretary Panetta's June 2012 visit to New Delhi, to immediately permit on a large-scale basis the recovery of the remains of our dead American heroes from their 15 documented crash sites in Arunachal Pradesh. The relatives of these men deserve to have their rights, recognized under the Geneva Conventions, finally respected by the Government of India before they themselves pass on. Facebook Page of "Families and Supporters of America's Arunachal Missing in Action"